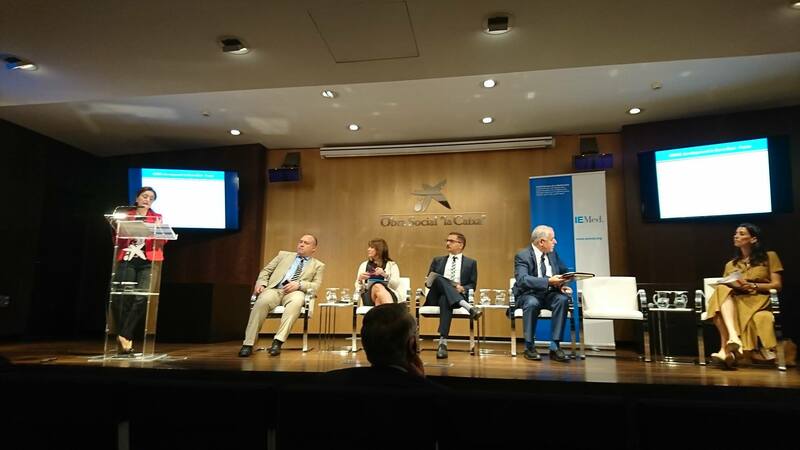 The Forum “Bridging SMEs Between North and South Mediterranean – The role of SMEs in the socioeconomic development of the Mediterranean region” took place in Barcelona on 4-5 July 2018. The Forum gathered representatives of companies, civil society networks, associations and foundations to discuss shared socioeconomic challenges in the Mediterranean under the scope of the small and medium sized enterprises (SMEs) and the role they can play in achieving goals such as job creation, sustainable development and the inclusion of all sectors in the economy. EMEA Founding President and EMNES Scientific Director, Prof. Rym Ayadi, participated in the session “How can we support the growth of SMEs?” which was chaired by Janet Heckman, Managing Director Southern and Eastern Mediterranean, European Bank for Reconstruction and Development (EBRD).